FREE Easter Crafts For Kids eBook! You are here: Home / FREEbies / FREE Easter Crafts For Kids eBook! 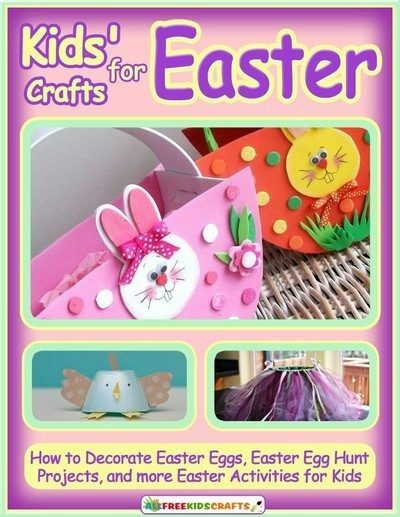 Just enter your email address to get a FREE Easter Crafts For Kids eBook! Ready or not here Easter comes, and AllFREEKidsCrafts is right alongside you with kids’ crafts for Easter to make the most out of the special holiday this year. Easter is such a fun and exciting holiday, and the kids should learn that as early as possible. AllFreeKidsCrafts has gathered the best Easter crafts for kids. Take this Easter further than ever before by doing more than just dyeing Easter eggs. This year, once you dye your eggs, decorate them to look like bunnies and carrots. Then master how to decorate Easter eggs to look like the symbols of Easter and make something amazing in which to store them!